I bet you have a "To Do" list. I do. In fact, I have a list at work, a personal list, a list of things to write about, a list of places I'd like to visit, things to do around the house. All in all, I have several To Do lists. The challenge comes when the list gets so long that it seems unmanageable. I know I catch myself snoozing 30 reminders that pop up en masse, and after snoozing the third time or so, I start to challenge the effectiveness of my list. Rather than wonder why you can't seem to get anything done (maybe I'll touch on that later), I'd respond with a challenge: Get one thing done today. Pick something off of your list that you can accomplish today. That is your one goal for the day. If noise, interruptions, other obligations, meetings, or anything else gets in the way, know that that means overtime or staying up late until you get that one thing done. Do that every day until you get one thing done for two solid weeks (hint, it can be something off of any of your lists). Once you make it two weeks, try to get two things done. What's your one thing to get done today? If you feel overwhelmed, you may start to fall into paralysis trying to figure out how to start. 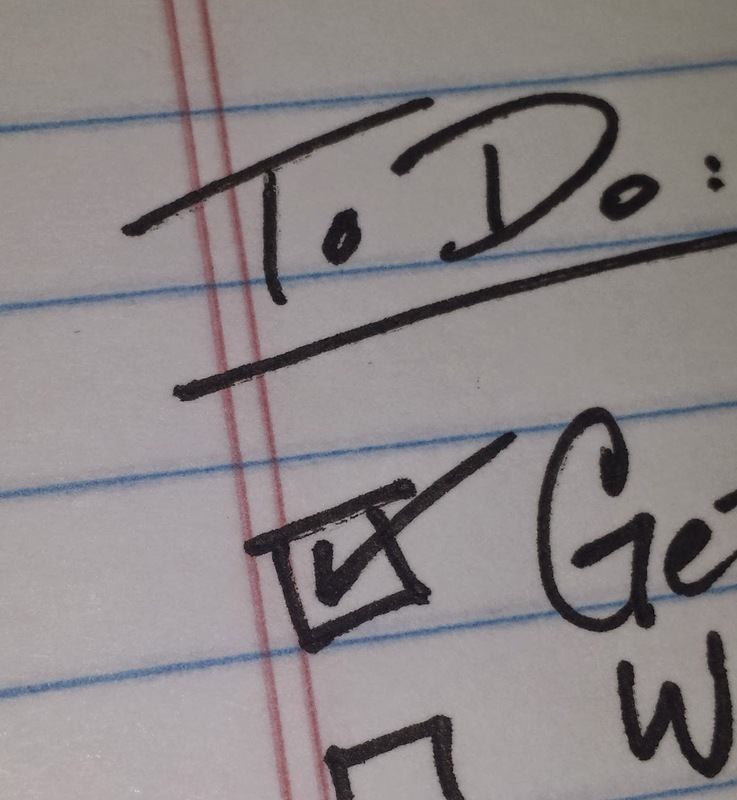 Trying to get just one task off of your list a day forces you to think about your ever-growing lists of to-dos. More importantly, though, you are trying to build a habit. This phase tries to build out a few different habits all at once (both a reason to start here and a reason that starting is difficult). First, you establish the practice of getting one thing accomplished of course. That's the obvious step. But you also build up a habitual routine of evaluating your backlog of items, prioritizing them, sizing them, and knowing your own limitations. You also get into the routine of pushing the noise and interruptions out of the way to accomplish your one most important task. What's Different About This Methodology? That's right. This method looks a whole lot like every other productivity hack out there, filling up articles on every share-friendly site on the web. But by taking a gradual approach to boosting your throughput, it does minimize the shock to your system. You shouldn't get overwhelmed by one more thing to do, prioritizing your tasks. Instead, you should start to feel liberated as tasks disappear from your backlog every day. Want to know what else is different here? You. Right now you are still reading this article, thinking to yourself, "I can do one thing a day. How hard is that?" That mentality will fuel you to get started and run faster than you know in terms of checking those items off your list. But I'll warn you right now: it's really hard. You might make it two weeks. You might make it through the whole challenge. But when you don't have a clear timeline and set of tasks, you become responsible for pushing yourself forward. The good news, though, is that once you establish good patterns and habits? You can jump back into them. I'll be perfectly straight with you, though. If you can't commit to focusing on this exercise every day, you will fall out of the habit pretty quickly. I have. Several times. But when you recognize you're once again out of sorts, you can always start again right here. Oh, you're so smart you want to jump ahead, do you? Don't. Get yourself in the habit of prioritizing and doing one thing a day. You can do that. Master it. Own it. Know that you can do it. You sit in complete control of your tasks. Once you have completed that, then you can jump ahead to step two. Once you're ready, here you go. I'll warn you now - it's not flashy. This whole process is based on brute force and slowly acclimating one step at a time towards an almost subconscious process.